Jerome-- Sorry for the long delay in posting. I accidentally went snorkeling with our camera in my pocket and we're still tring to figure out if we can recover our pictures from Indonesia. We'll post something about that later. We had originally planned to visit Bangkok for about a week, but we decided to change our plans because of the coup, curfew and protests. AirAsia also canceled our flight to Bangkok. 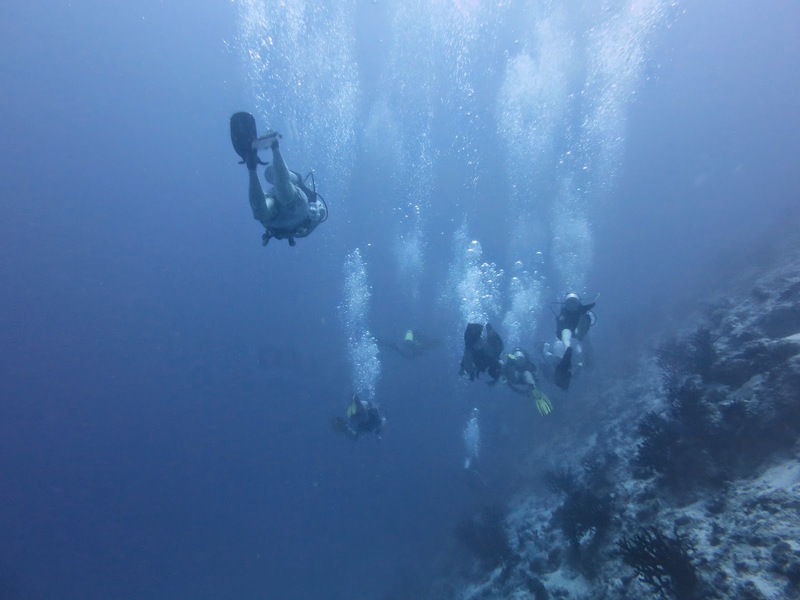 And we also wanted to try to do some more diving. 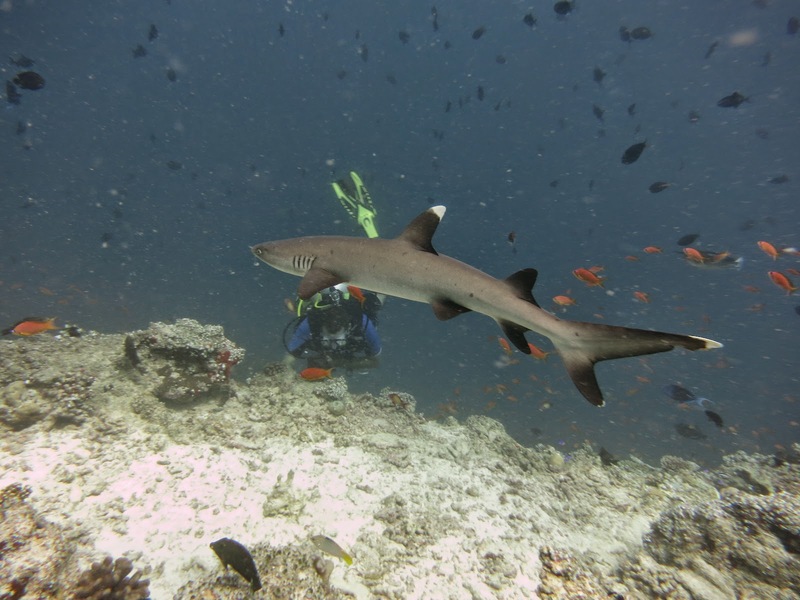 We searched for last minute deals on a liveaboard and found a great one in the Maldives on a boat called the Maldives Aggressor. 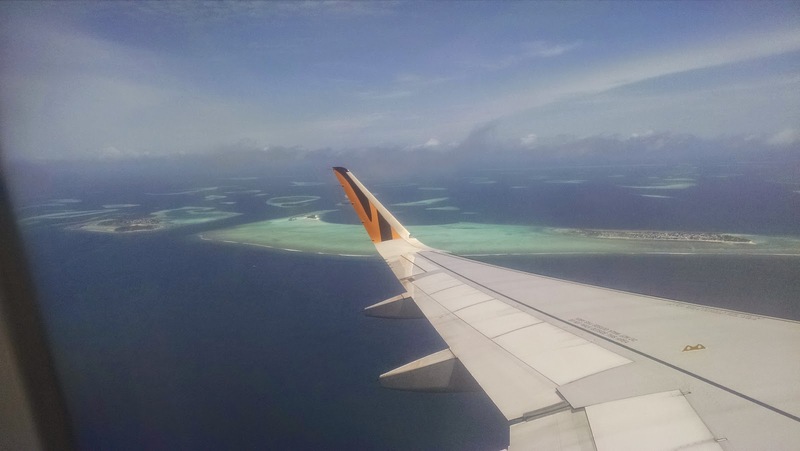 Maldives is definitely farther afield then we were planning on going, but we also found cheap, direct flights from Singapore. 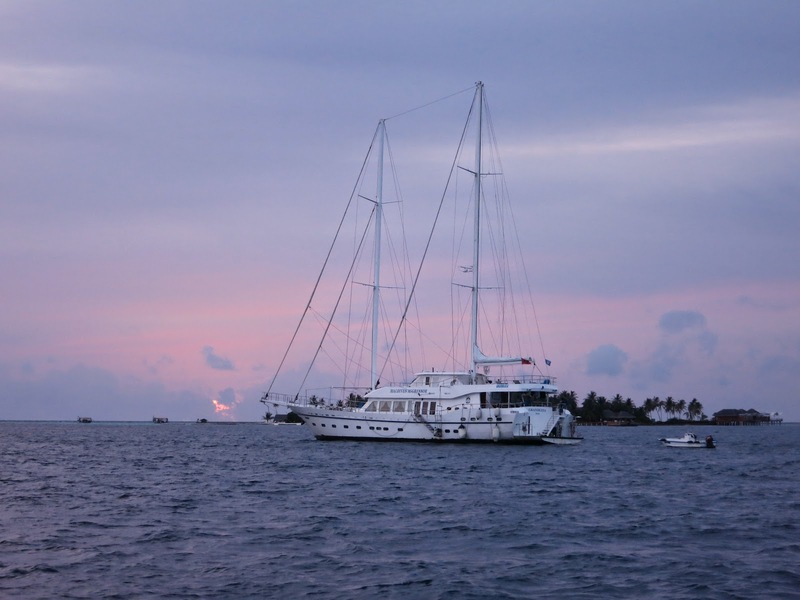 The Maldives Aggressor is a 115ft diesel and sail powered yacht. 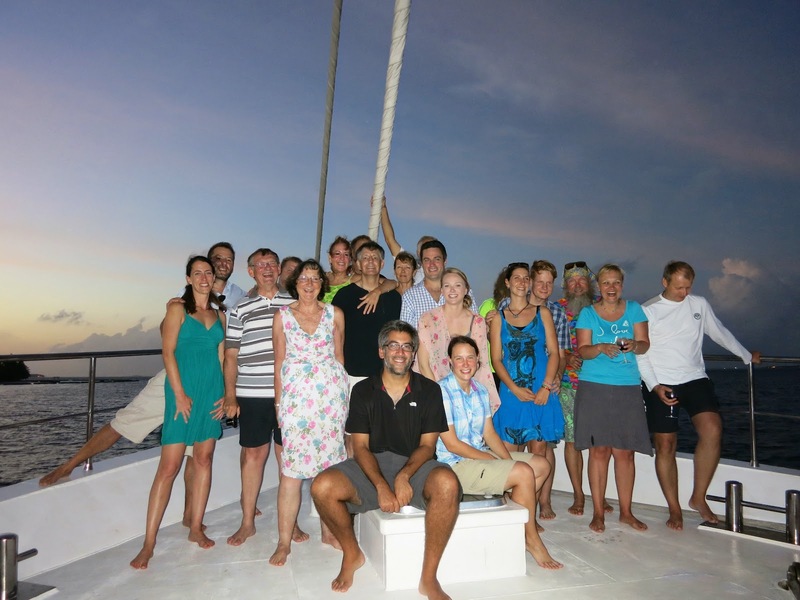 We had a completely full boat with 20 guests and a double contingent of crew (half the crew was being trained). Guests came from all around the world - Australia, Germany, USA, Russia, Switzerland. We did 21 dives over the 7 days, including 4 night dives. 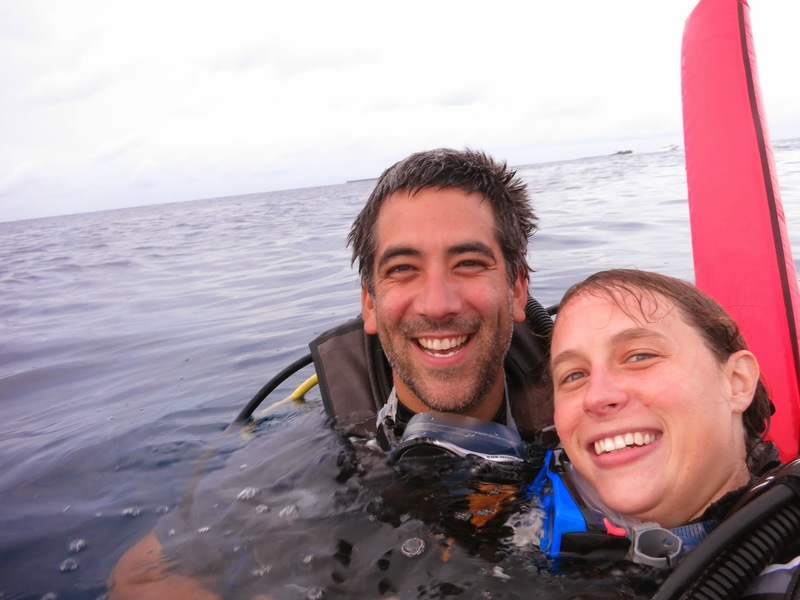 Laura and I have now completed 67 dives (63 dives since we started our trip in April) and we've logged a total 56 hours and 42 minutes underwater! We also did our Nitrox certification before we went, which allowed us to use tanks filled with 32% oxygen (rather than regular air which has 21% oxygen). This lets us dive for a longer time at a deeper depth without having to worry about getting "the bends". 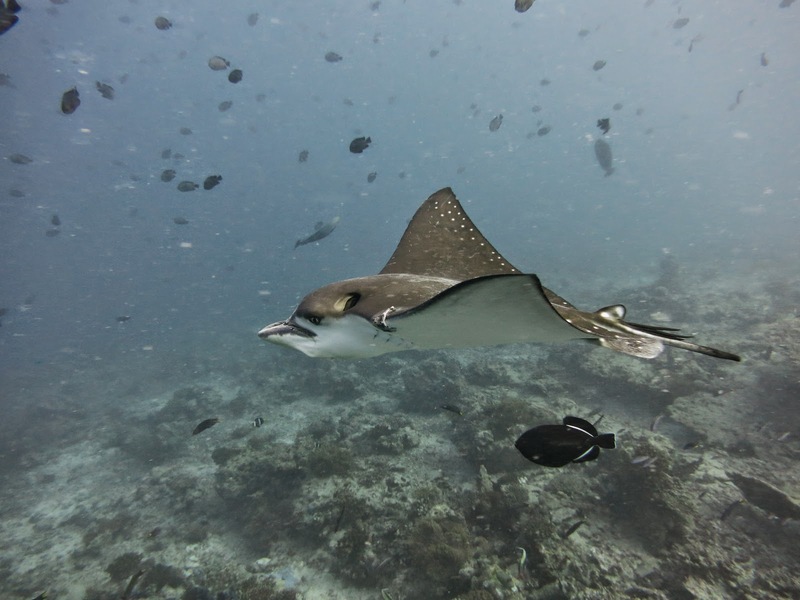 Diving in the Maldives was fantastic! 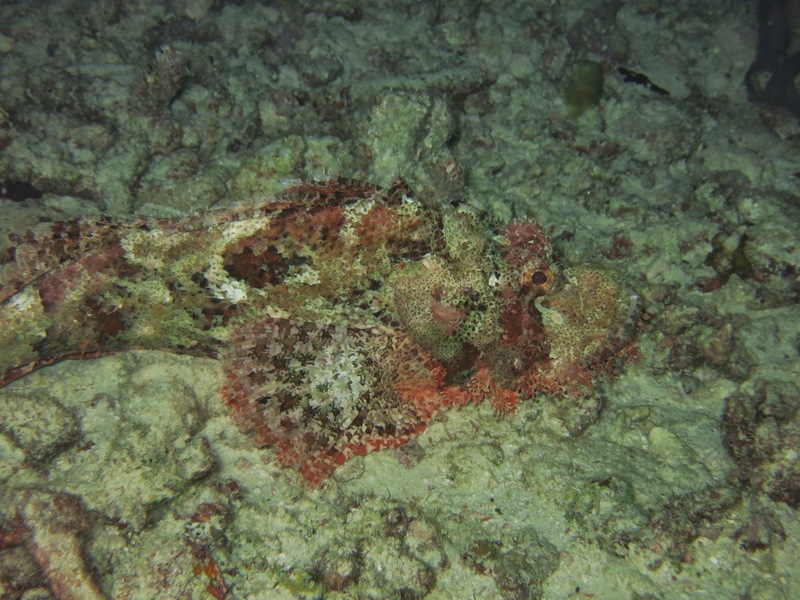 One of the night dives we did at an underwater pinnacle had circling sharks, giant moray eels out of their holes, huge sting rays feeding, and a highly venomous stonefish camouflaged on the sea floor. 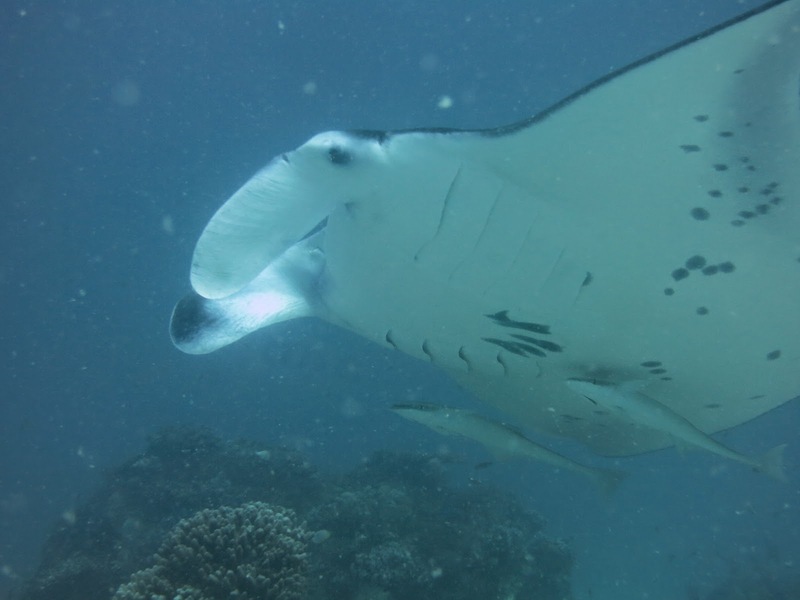 Another dive was with the huge, graceful manta rays. 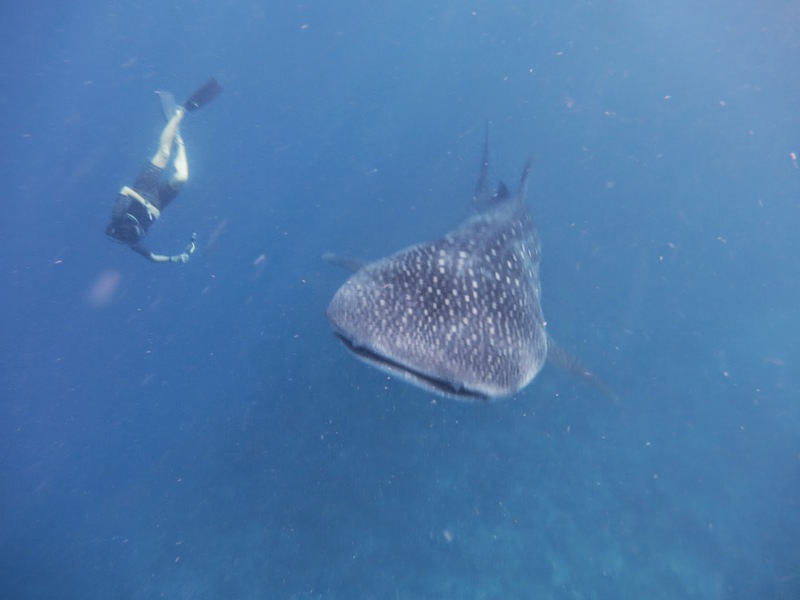 Another with a 6m - 8m whale shark. 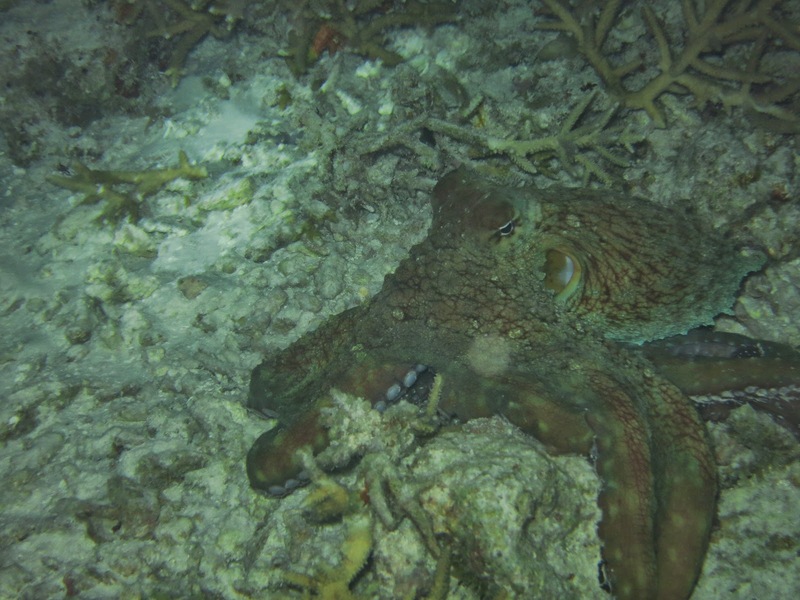 During one of the night dives, Laura and I found an octopus out hunting. Previously we'd only seen then hiding in little holes, but this one was swimming across the reef and camouflaging itself as it went. Very cool to see. 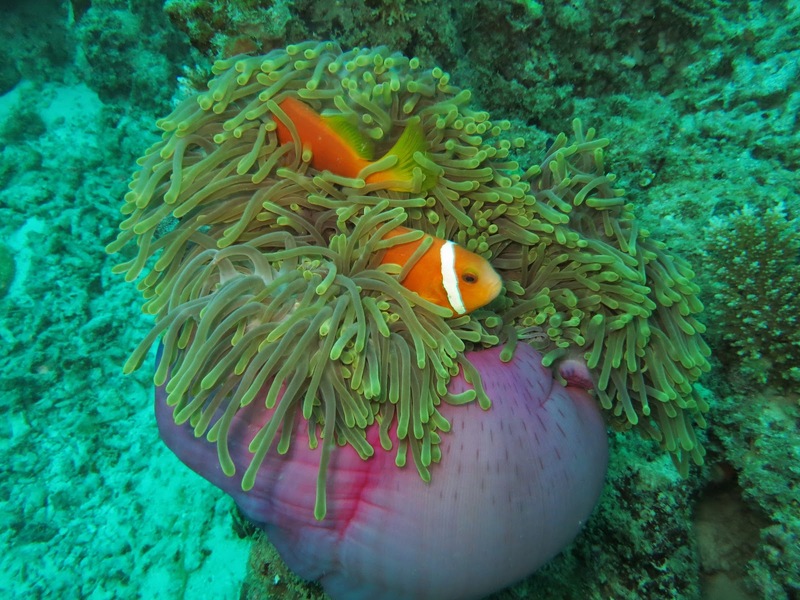 Below are some pictures taken using our new underwater camera housing - if you want to see more check out our album. Diving is surprisingly tiring, especially since we start the day at 6am. Usual day went something like: wake up at 6am, eat something small, first dive, breakfast, second dive, lunch, third dive, snack, night dive, dinner, bedtime. Basically we just ate and dove all day long. The chef on the boat was great - always preparing an amazing spread from the tiny little kitchen. My favorite was the Sri Lankan lunch which had some really nice and spicy curries. 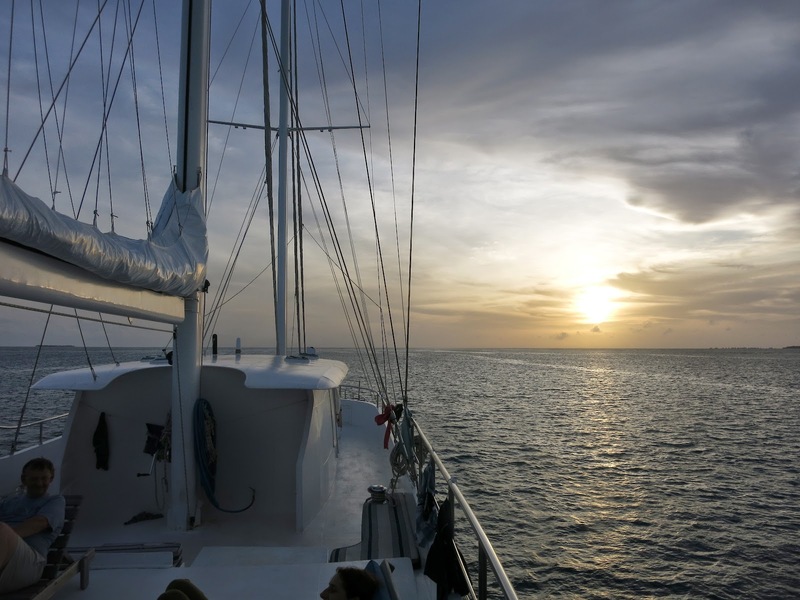 Our first liveaboard was a great experience and we'd love to do another in the future. Our trip is coming to an end - we're off to Cambodia tomorrow and then it's Hong Kong and back home in early July. Time's really been flying by! You guys have logged an incredible amount of dive time...and I've been so happy to see all the photos! 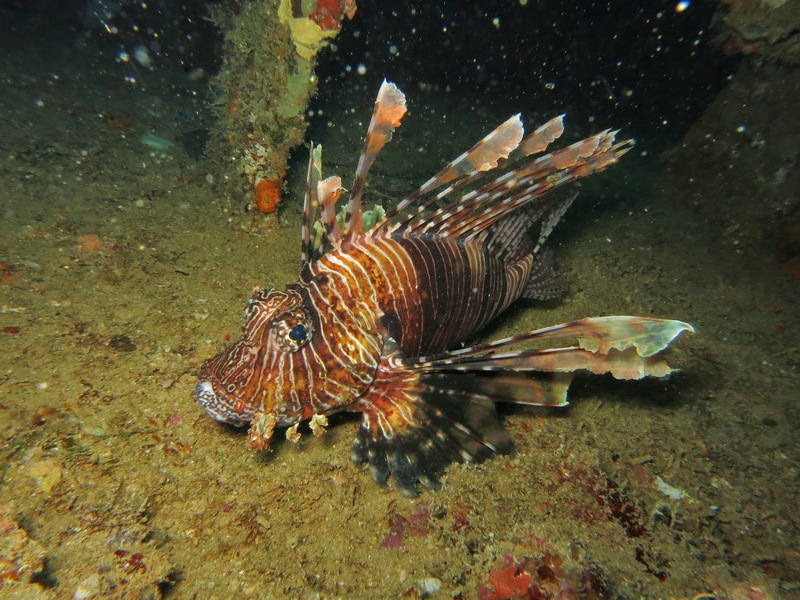 Thanks for sharing :):) Where do you want to dive next? We'll be diving briefly in Cambodia (from Sihanoukville). Once we get home is like to give Monterrey another chance - we only did or Open Water Certification dives there, so it'd be nice to do a fun dive). Mexico is supposed to have some great diving too! Amazing. I really appreciate you sharing your stories and pictures. I am so humbled. Good for the two of you! I want to go to HONG KONG so bad. Be Safe. Wowee guys! It truly looks breathtaking! Thanks for sharing!